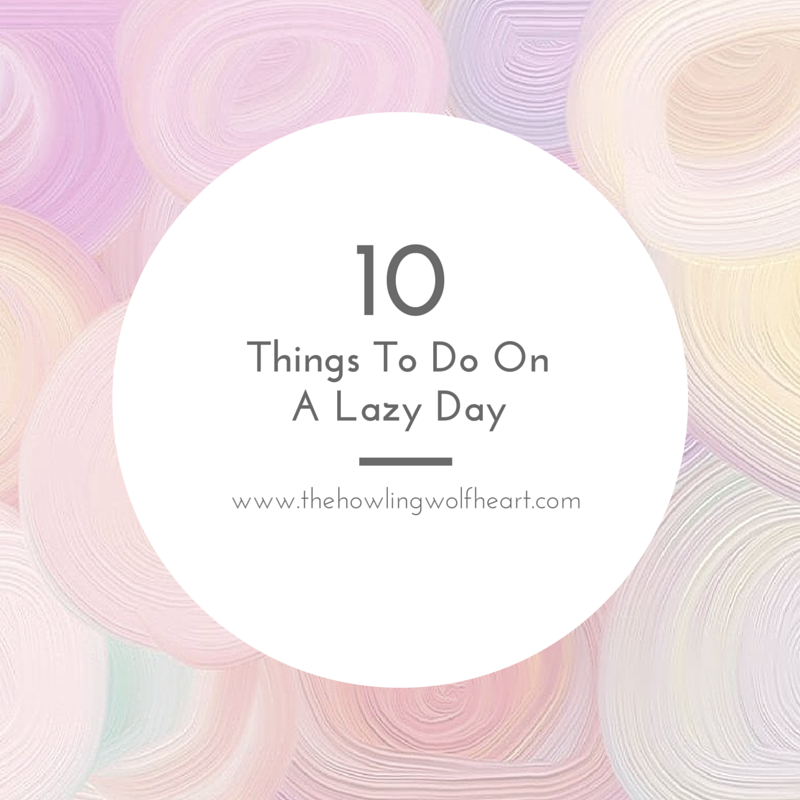 The Howling WolfHeart: 10 Things To Do On A Lazy Day! I loooooove my lazy days! I am the queen of being lazy over here haha. But I know that many have a hard time having a lazy day, they get bored out of their mind and start climbing them walls in no time but I believe having a lazy day once in a while is super important, you need to take care of yourself kitties and taking a break is there for important. So here are 10 things you can do on a lazy day! Check out that TV Show you've been curious about. Surf Pinterest/YouTube etc...Go online and go wild! Watch all a few of those movies you really wish you already had. Stay in your PJs all damn day. Try out (if you aren't used to it) some gentle exercise or maybe yoga. Take the longest bath ever taken. Have a movie marathon. How long since you watched a trilogy in one day? Do some scrapbooking. Haven't tried it? Try it out!